Your food habits and life style has an adverse effect on your hair and scalp. All sorts of illness and stress will affect the health of your hair. The right life style and proper food habit will naturally help you getting the beautiful hair you have been craving for. Besides maintaining flowing a hair care routine and eating proper food will also enhance the volume of hair. Hair fall can happen due to many reasons such as side effects of medicines, illness, mental stress, emotional disturbance pregnancy and what not. Women and men both are highly embarrassed due to such situations and are not ready to mix with people if they are facing issues. Alopecia is a disease which shows partial baldness and patchy hair loss. This can occur both in men and women and is the reason of stress and mental illness. You can get rid of this problem by reducing your stress and applying some home remedies. Herbal shampoos should be used instead of chemical based ones. Applying color and dye to your hair can also make your hair fall gradually. There are many products available in the market, but it will be better for you to do a research or survey before buying any of them. A wrong product can actually damage the condition of your existing hair. Massaging hair also stimulates the hair growth in your scalp making the follicles strong and healthy. Your scalp should always be clean and free from dirt. This will prevent your hair from stinking and falling. Highly infectious scalp can never allow the growth of new hair. Dandruff is a very common problem seen in both young people and adults. Do refer to a proper specialist who can treat you in a perfect way. Proper treatment and proper care can help you to regain your hair. Natural hair remedies are very effective. Though they do not show results very soon but are definite to do so after few applications. Natural remedies have no side effects, this is a major benefit you will get from herbal stuffs. Try having cup of juice of spinach or lettuce juice every day. This will help you to have a good hair gradually. Also apply coriander juice on your scalp which will make the root of your hair stronger. Massaging scalp with warm mustard oil is also another important and old remedy that can prove to0 be effective in many ways. Mixture of lime seeds and black pepper is another good remedy. Mix amla with coconut oil or lime juice and apply on your scalp once or twice a week. 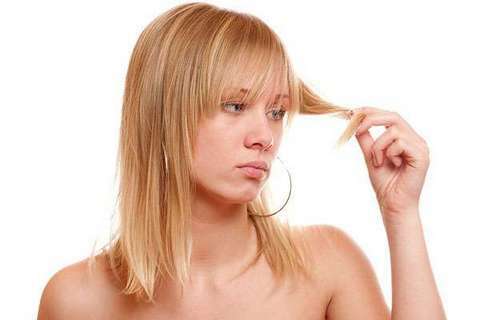 This is an effective natural remedy that can stoop hair from falling in large quantity. Take few drops of sesame or coconut oil and mix with shana seeds, make it into a paste. You can apply this paste at least 5-6days a week which will enhance the hair growth. Including that, if you mix ground fenugreek seed with water and apply for one hour before washing your hair, will help your to a great extent.